Chelsea could be set to steal Valencia target Gregory van der Wiel from under the noses on the Spanish club report TalkSPORT. The Ajax full-back has been linked with a Stamford Bridge switch for a number of months and former Chelsea boss Andres Villas-Boas was said to be keen on the Dutch international, however la liga outfit Valencia were favourites for van der Wiel’s signature and held talks with the player’s agent in January. TalkSPORT now report these talks are still far from reaching conclusion as the Spanish side baulk at the £10 million price tags quoted by the Amsterdam club – already £5 million less than they originally valued the 24-year-old at. 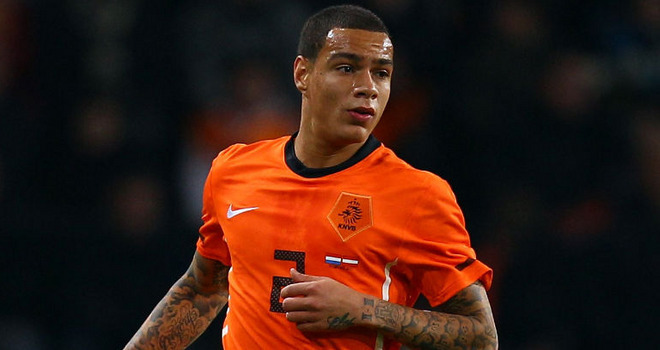 Van der Wiel’s current contract expires in June 2013 and Ajax risk losing the player for nothing should he run down the rest of his deal at the Amsterdam Arena. Meanwhile Chelsea left-back Ashley Cole is also at the centre of another transfer rumour today as The Sun report he could be among a host of stars heading for the axe at Stamford Bridge.